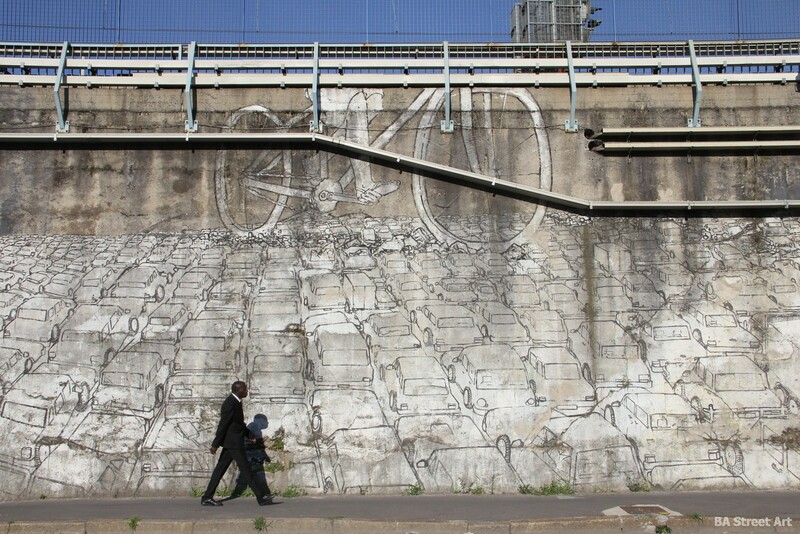 Blu has painted a brilliant mural in Milan, Italy at Lambrate railway station depicting a series of giant bicycles riding over thousands of cars. 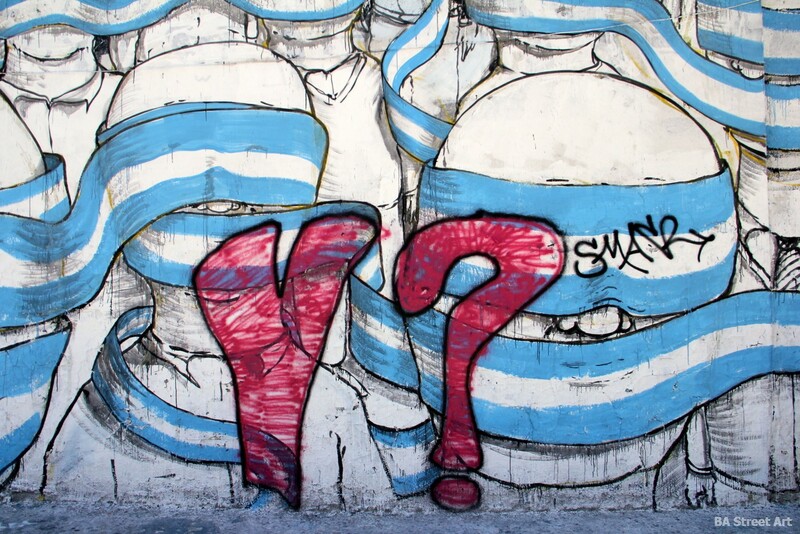 Buenos Aires Street Art took these photos on our trip to Italy last week. 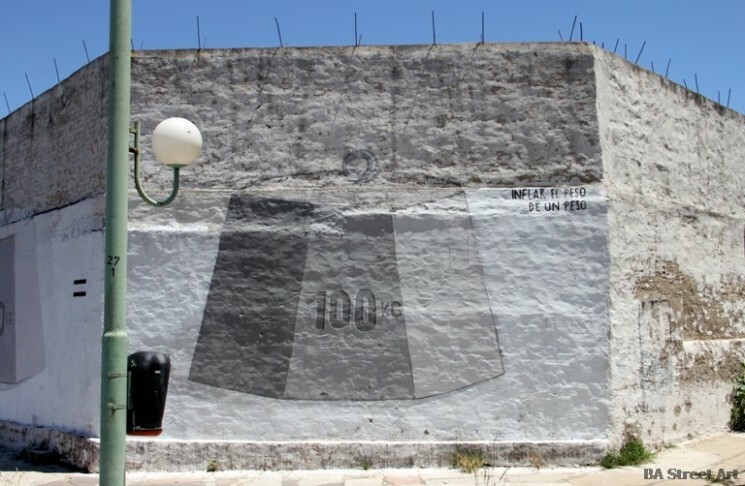 Blu has painted some stunning murals during his latest trip to Argentina mixing social, economic and political commentary with incredible artworks and confirming why to many he’s the best in the business. 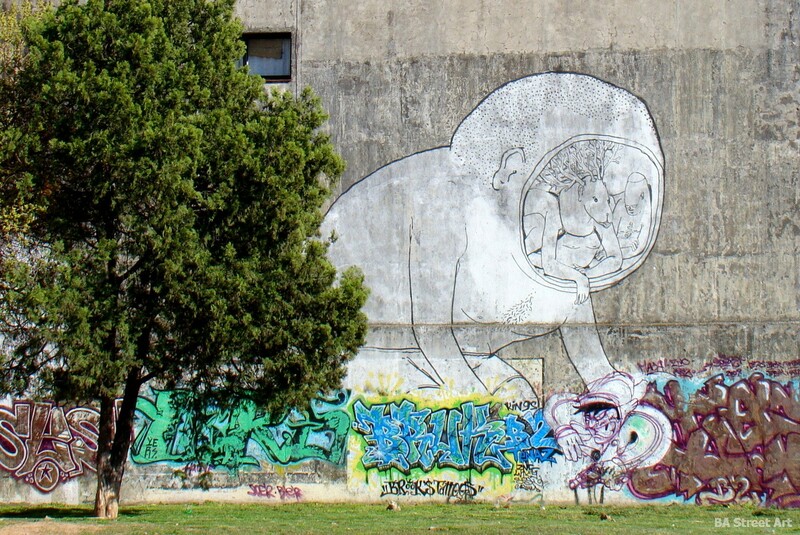 You can tell BA Street Art are huge fans of the Italian maestro bringing you exclusive photos of all of his fantastic new artworks. 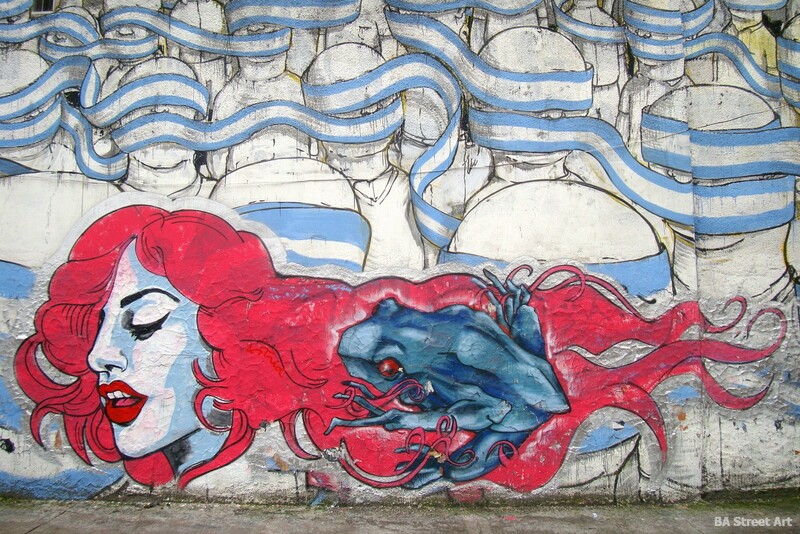 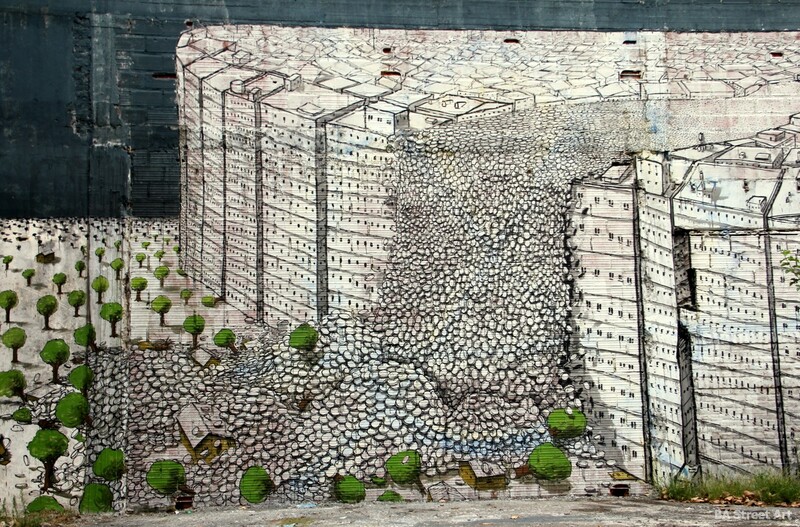 Here’s a round-up of the best Buenos Aires street art by Blu over the last couple of months. 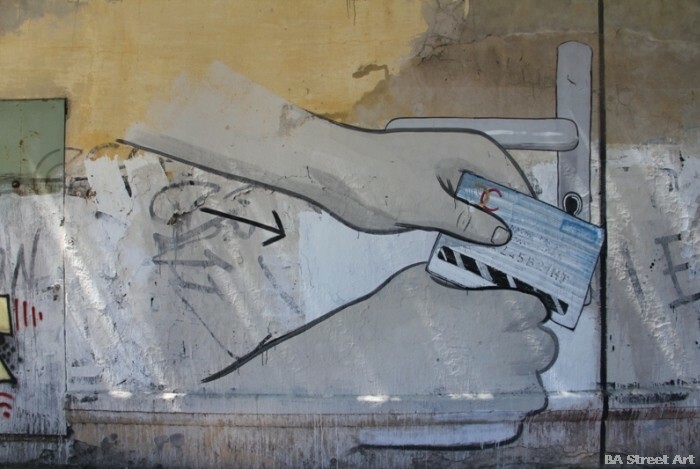 Here’s a great new mural by Escif and Blu explaining how to open a door with a credit card in five easy steps. 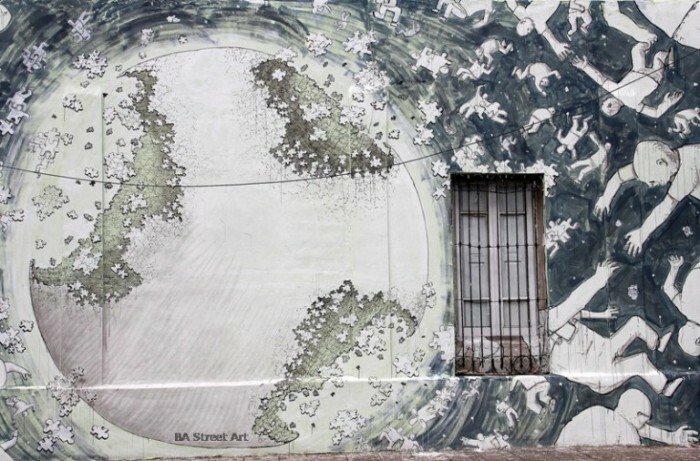 The Spanish artist painted it on his recent trip to Buenos Aires with the Italian master.